Ryan Gosling (you know, from the "hey girl, it's Ryan" twitter chronicles) is joining forces with Josh Brolin, Sean Penn, Giovanni Ribisi, Nick Nolte, Michael Peña, and Anthony Mackie in the mack attack of hoodlum flicks, The Gangster Squad. As I mentioned before, I don't love Gosling and Stone together (Stone is just a bit too quirky for Gosling's Rico Suave-ness), but we'll wait to see how they do with this new project. But this rest of this cast? Priceless. They go without saying. Special shout out to Giovanni Ribisi, who never gets enough love but should. Director Ruben Fleischer, whose previous credits include the mediocre 30 Minutes or Less and Zombieland, has his hands full with this film, but he looks like he rose to the occasion. Let's hope the movie proves it. 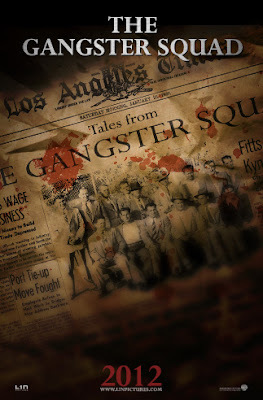 We'll have to wait until The Gangster Squad opens in theaters later this year (no exact date has been released). I'm not entirely sure how I feel about this trailer yet, aesthetically, it looks a little too...Watchmeny, if that makes. But I'm definitely excited for the cast. Also, did you mean to call Nolte 'Nicole'? I got a huge laugh out of that.